Welcome back to Day Two of Jubilee celebrations here on This is Wiss, and I am really excited to introduce the first of my special guest bloggers, Stacie Swift. I first discovered Stacie's fabulous cards at the Crafty Fox Market earlier this year. I was instantly drawn to the brilliant colours and her original style, and I wasn't the only one: Lewis loved the animals too! Have a look at her etsy shop and you'll fall for the dancing foxes or a sausage dog in a stripey jumper too! "Hello! I'm Stacie, a freelance illustrator with a penchant for drawing animals in fancy dress! Angela was kind enough to invite me to take part in her Jubilee blog posts after she and Lewis popped along to my stall at the Crafty Fox Market and I'm thrilled to be joining in. Despite not having little ones of my own just yet, I am a bit of a big kid and so try to produce work that will appeal to children as well as their parents. A new feature on my blog are downloadable colouring and activity sheets - here is a special Jubilee colour in especially for This Is Wiss. 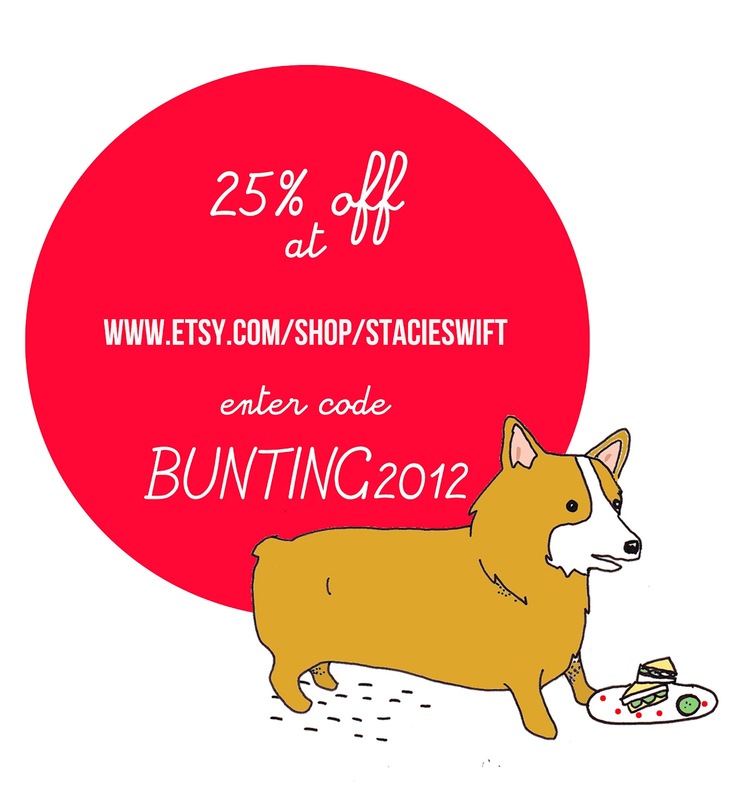 In case colouring in isn't your thing, I thought I'd offer you a little discount in my store too. Just enter the code BUNTING2012 at the checkout to get 25% off until Saturday 2nd June. Thank you so much for being my guest today Stacie! Both Stacie and I would love to see your finished colouring sheets, so if you would like to share them you could tweet a photo to us: @stacie_swift or @thisiswiss. And remember to add Stacie's blog to your reader list if you'd like to see more animals in party hats (amongst other things!) It's a good read. 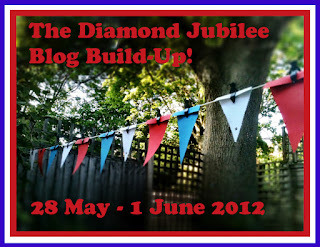 I'll be back tomorrow for Day Three with a tutorial for a felt crown, and some super-quick jubilee bunting to get you in the spirit. See you then!